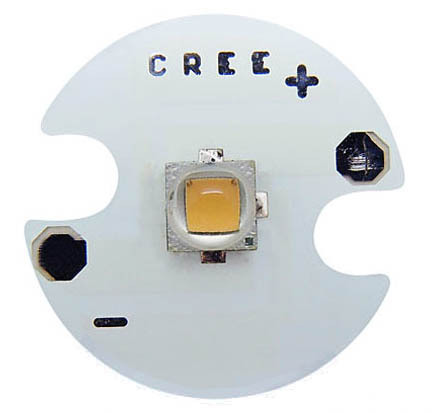 These are similar in design to Cree XP-E LEDs but are not made by Cree. 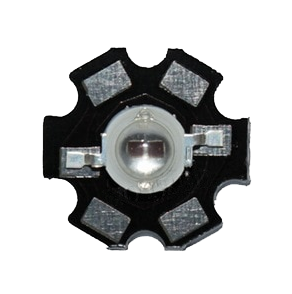 Unlike most power LEDs, these have inbuilt domes that produce a 60 degree beam angle, so they are more directional than most power devices. 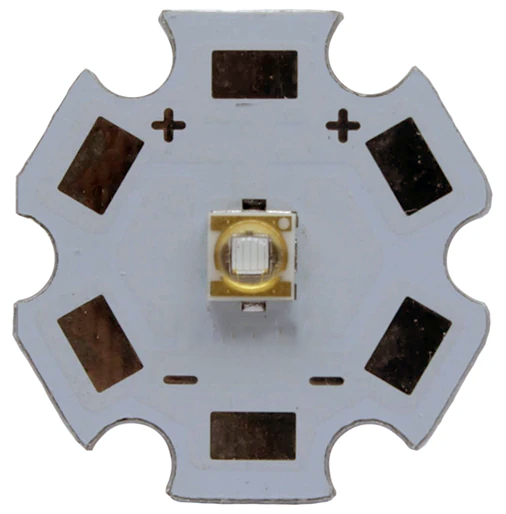 They are mounted on a standard 20mm star PCB (which does say Cree on it, but only because they are the same boards used for XP-E devices). 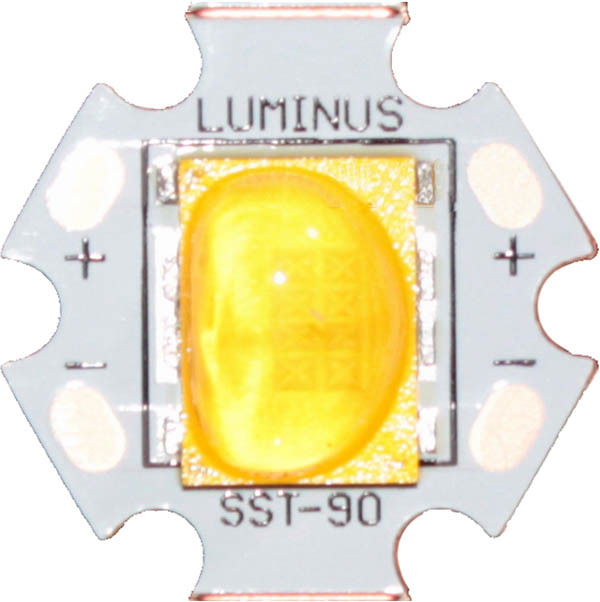 Note that these have quite a bit of visible emission and produce a lot of UV light. These are a high output UV LED, looking directly at them for any amount of time may result in eye damage!